To say that I'm excited about the new Nordstrom opening at Mayfair Mall is an understatement. I have so many memories of making the trip to Tampa with my Gramma, Aunt & Mom for an afternoon of shopping at International Plaza Mall. We started each visit the same way- eating lunch together at Nordstrom and then dressing room fashion shows, trying on whatever caught our eye. Thinking about it, I'm pretty sure my love of fashion started with this store. Shopping is never a chore here, it's a fun experience and filled with beautiful clothes and helpful staff. I have the low down on all of Nordstrom's opening week events. You won't want to miss the celebrations! 6 p.m. to 9 p.m. and 9 p.m. to 11 p.m.
Nordstrom has always focused on giving back to communities that support them. 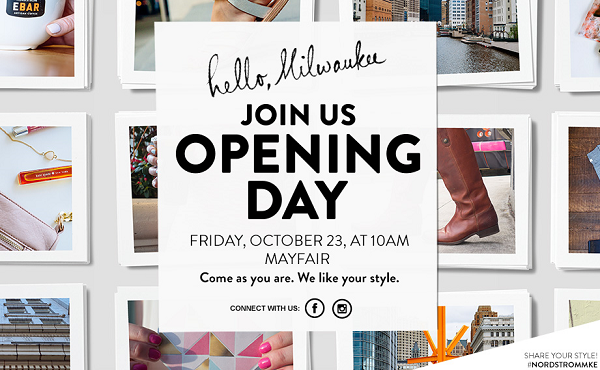 To celebrate their opening at Mayfair, they're hosting two fantastic events the evening of Wednesday, October 21. They are raising money for three local charity organizations: The Links, Incorporated, Cream City (WI) and Milwaukee (WI) Chapters; Ronald McDonald House Charities Eastern Wisconsin; and United Way of Greater Milwaukee & Waukesha County. The opening gala opening will be held from 6-9 p.m. Guests will sip cocktails, savor dinner and desserts, enjoy live music by solo recording artist Sean Jones, experience informal fashion presentations and shop the season’s best looks before our store officially opens on October 23.Tickets are $100 per person and can be purchased online here. After the gala, we’re hosting Fashionably Late – a first of its kind after party – at the new store from 9-11 p.m. In addition to great music, DJs, shopping, cocktail treats and surprises, there will be food trucks to end the evening serving late night snacks, including burgers, pizza and mac & cheese. Tickets are $25 and can be purchased online here. Complimentary valet parking is included for both events. Nordstrom Mayfair is hosting a Beauty Bash for customers in front of its first floor mall entrance. Enjoy complimentary makeup applications, consultations and application tips and tricks from Nordstrom beauty advisers. Customers will also enjoy gifts with purchase, sips and snacks and other fun surprises. 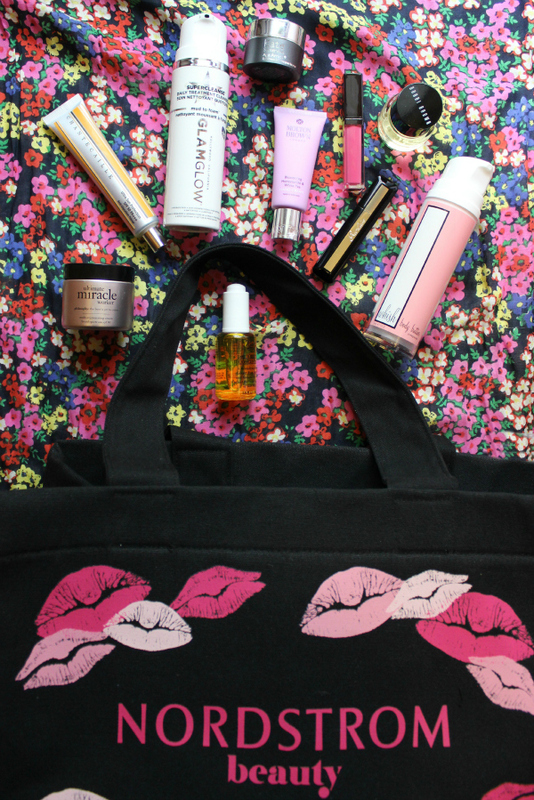 The first 1,500 customers will receive an exclusive, reusable beauty tote bag (one per person; while supplies last). Doors open at 10 a.m.! We hope to see you there. I also got a peek at some of the new products from the new store. The Nordstrom team was kind enough to send over a box full of curated goodies. It was seriously like Christmas morning. I absolutely cannot wait to explore the store for myself!